Indeed – indicates emphatic agreement. My grandfather was a very proud man. He went from being the poorest of the poor in Switzerland to an inventor and business owner in the United States. He was proud of what he accomplished and was equally proud of his family. 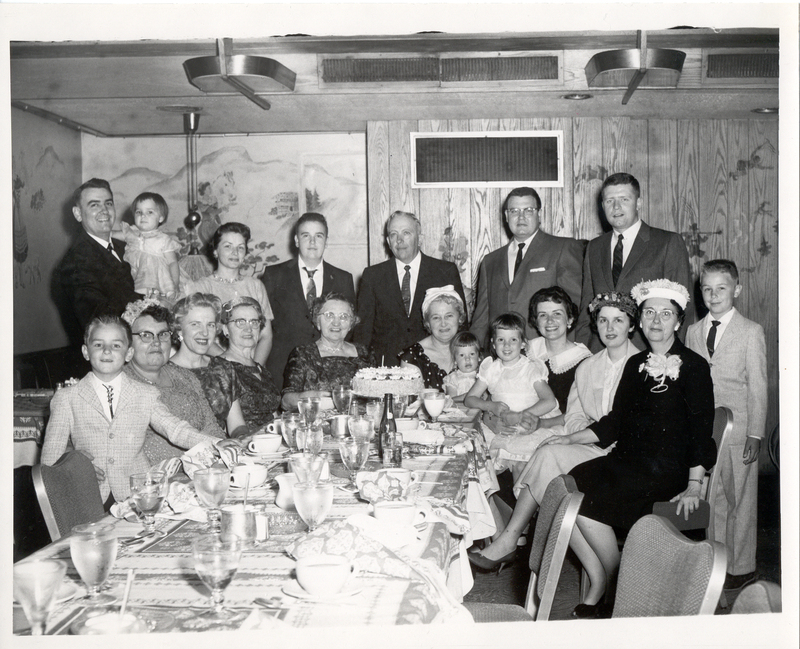 Here are most of us at a family dinner in 1959 – not all the cousins were born at that point. It did indeed give him pleasure to have such a large family. Word for tomorrow – BEYOND. If you prefer to work ahead, see the list for the week under “A Word A Day”.